How do I send quotes to my clients? Note: Before sending quotes, please make sure you are signed into your agent account. After you put in the appropriate quoting information, the plan results will populate below and you have a few options when sending these plans to your clients. Click “Share” in the top right corner of the page. From here, enter the client’s email as well as any custom messaging you would like to include in the message that they receive. 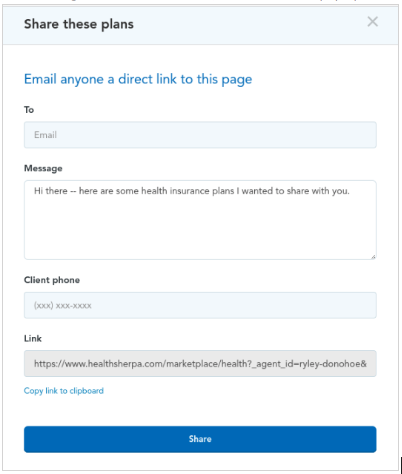 Note: Under the ‘Link’ section, you can click “Copy link to clipboard”, and paste the link into an email from your own email provider if you would like to customize the message further. 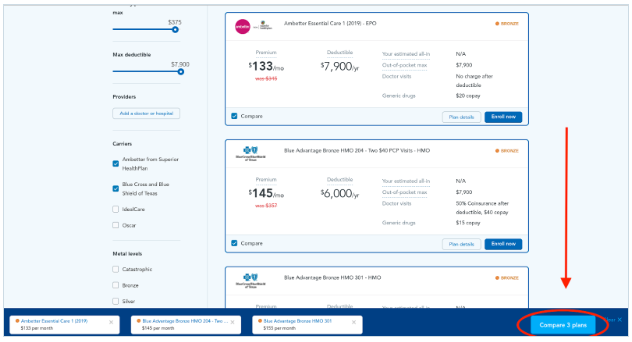 You can scroll down to the ‘Plan Results’ section and select up to 5 plans to compare. The “Compare” checkbox is on the bottom left of each plan. 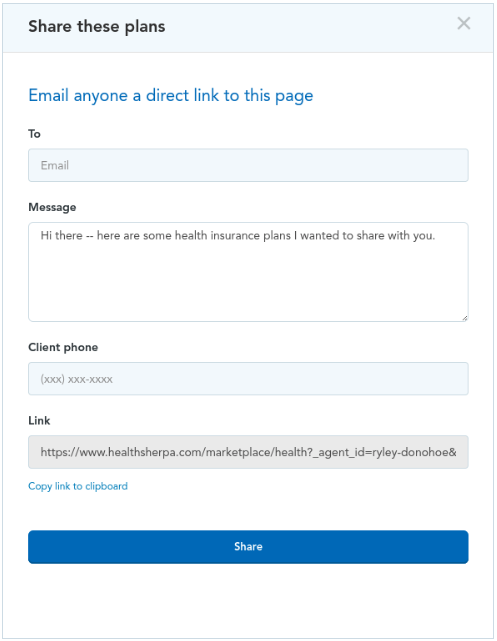 After clicking “Share”, a window will pop up where you can enter the client’s email address, customize the message, or copy and paste the link into your own email.